To open an InstaForex trading account, please accept the terms of the Public Offer Agreement that determines the order of conversion, arbitrage, and operation procedures. The Public Offer Agreement requires no signing and has exactly the same legal power as any contract signed by two Parties. 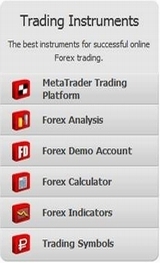 Once the terms of the Public Offer Agreement have been accepted, you will be offered a registration form to open a trading account with InstaForex. After filling in the registration form, you will have 30 days to replenish your trading with a minimum deposit, depending on which type of InstaForex accounts you chose. The account number and replenishment instructions will be sent to the email address which you specified in the registration form.